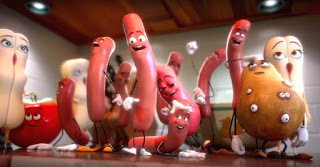 Now, they go into the world of animation for Columbia Pictures and Annapurna Pictures’ “Sausage Party,” the world’s first R-rated CG animated comedy, about a group of supermarket products on a quest to discover the truth about their existence and what really happens when they become chosen to leave the grocery store. “The concept of the movie was ‘what if sausages could live out their dreams of getting in buns?’” says executive producer Kyle Hunter, who co-wrote the screenplay with Ariel Shaffir, Seth Rogen and Evan Goldberg. 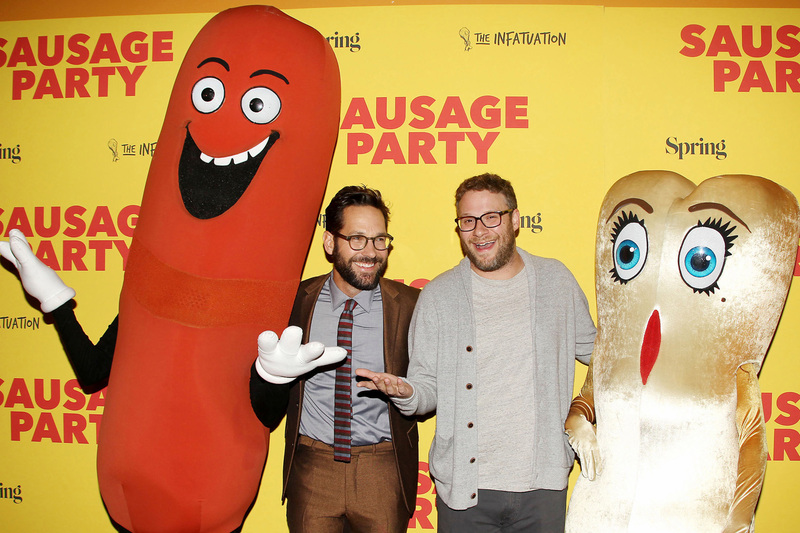 As his directorial partner, Vernon brought in Greg Tiernan, who is the co-owner along with wife and producer Nicole Stinn, of Nitrogen Studios, the Vancouver animation studio that was the home of Sausage Party. “Conrad and I had worked together years ago on a Ralph Bakshi movie Cool World, which was sort of a pseudo-adult movie – it was PG-13,” says Tiernan. “Sausage Party” features the vocal talents of a who’s who of today’s comedy stars – Michael Cera, James Franco, Salma Hayek, Jonah Hill, Nick Kroll, David Krumholtz, Danny McBride, Edward Norton, Seth Rogen, Paul Rudd, and Kristen Wiig. Opening across the Philippines on Sept. 28 and rated R-18 with no cuts, “Sausage Party” is distributed by Columbia Pictures, local office of Sony Pictures Releasing International.